Our homie Tha Wikid One hit us up about a new venture that he’s looking to get the word out about. 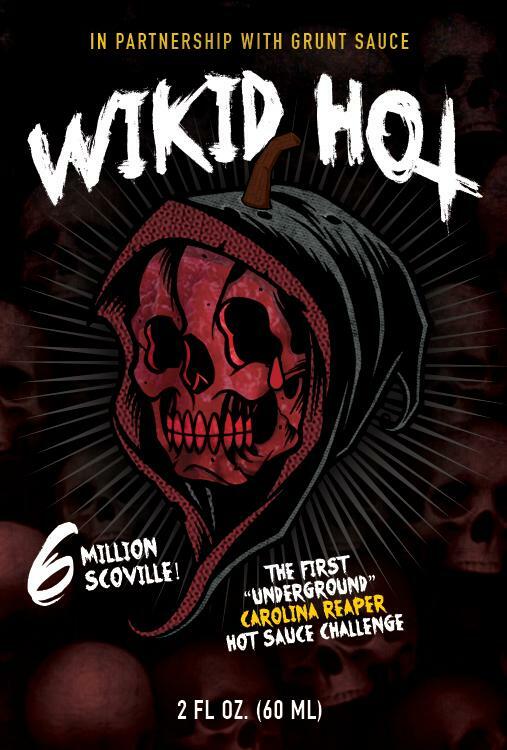 He and his team have created an insanely hot (6-8 Million scoville) hot sauce that they’re calling “Wikid Hot”. It’s a blend of Carolina Reaper peppers and pure capcasin extract, and a 2 oz bottle will set you back $24.95. Every good challenge has to have some kind of rules, right? Well as you can see from the video above, we pushed it as far as we could go, so we’ll just use that as a bench mark. If you happen to pick one up, let us know how it is, and whether or not you participated in the Wikid Hot Challenge yourself!